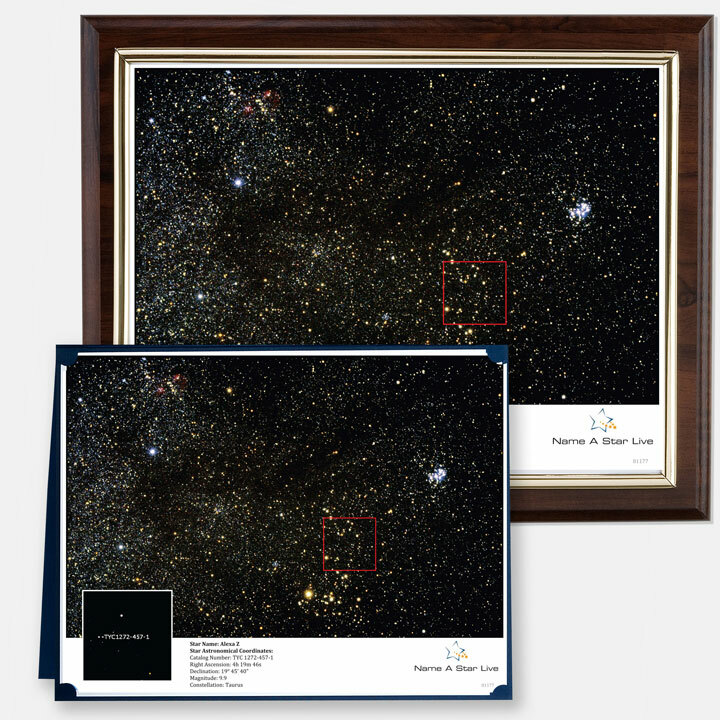 Our popular Deluxe Gift Sets include everything you'll need to make the stars come alive. 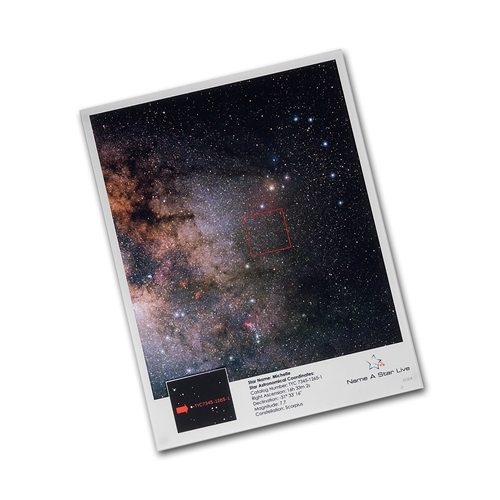 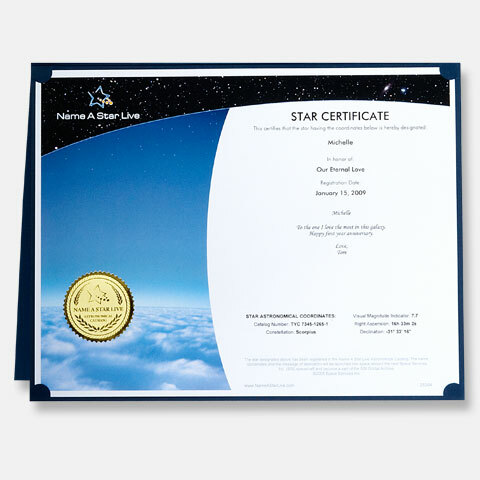 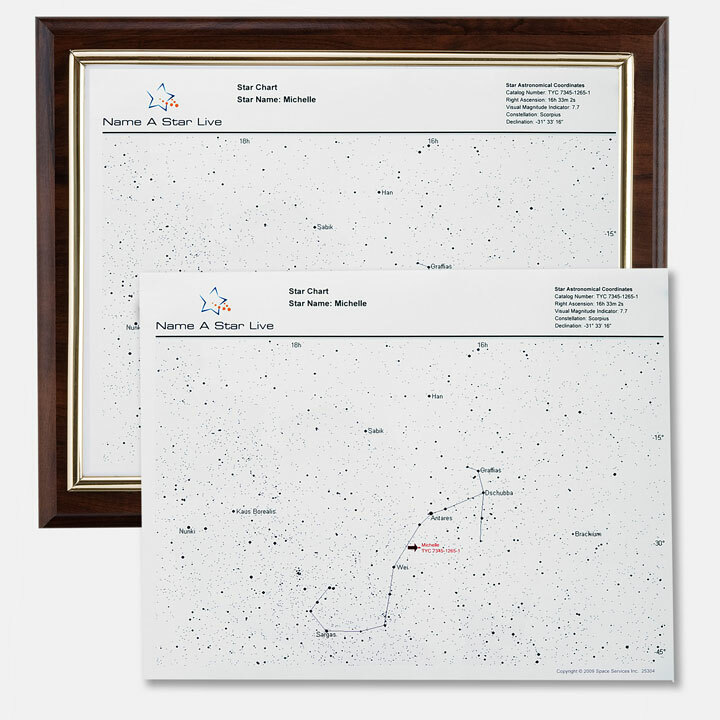 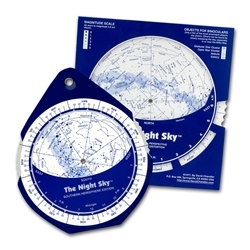 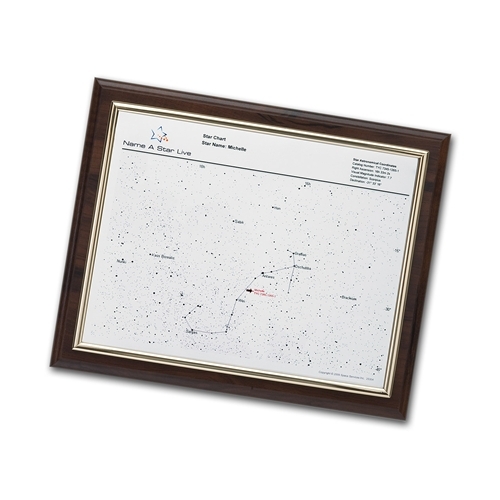 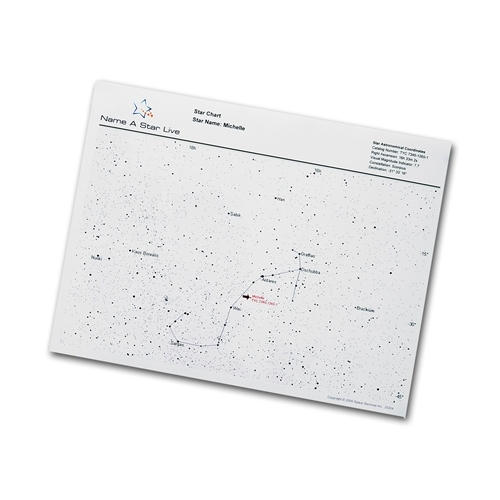 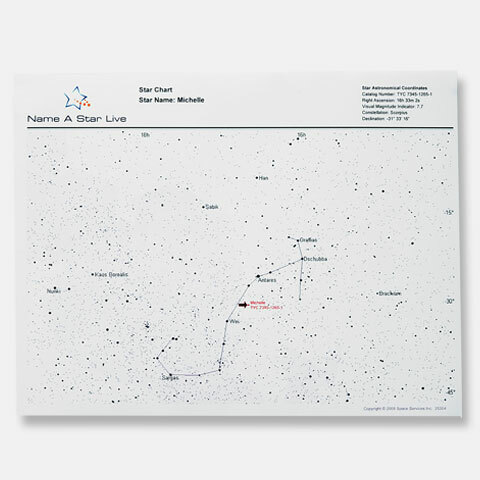 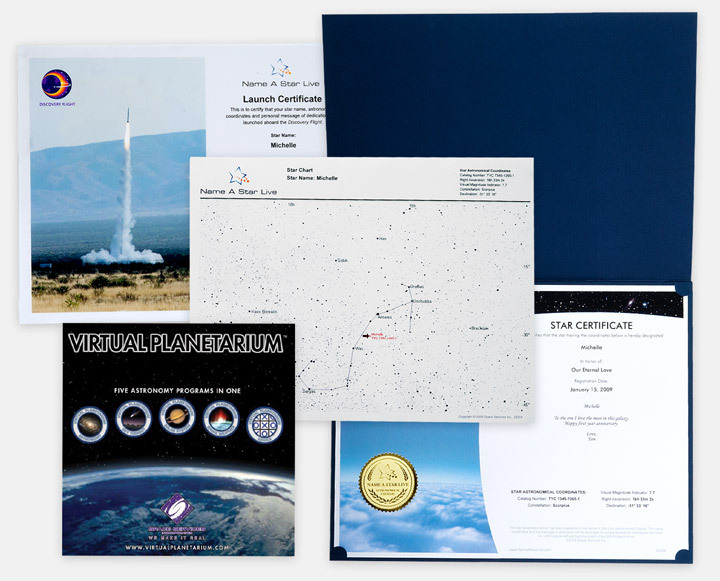 Display your commemorative Star Certificate and locate your star's constellation any time of year with an easy-to-read Star Chart. 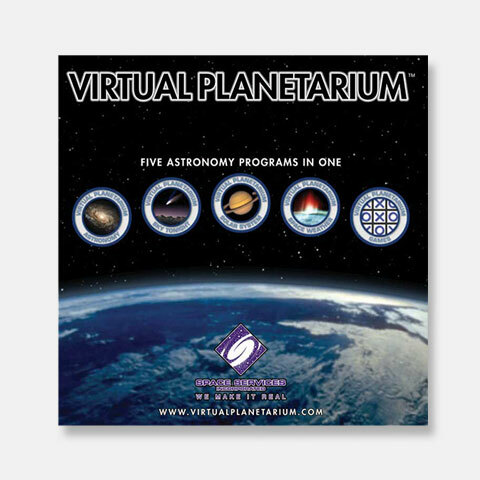 Explore the Universe with our award-winning Virtual Planetarium software and join us online as we launch your star name to space on board real space missions! 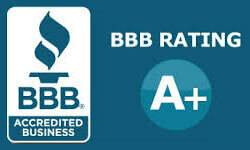 Looking to impress? 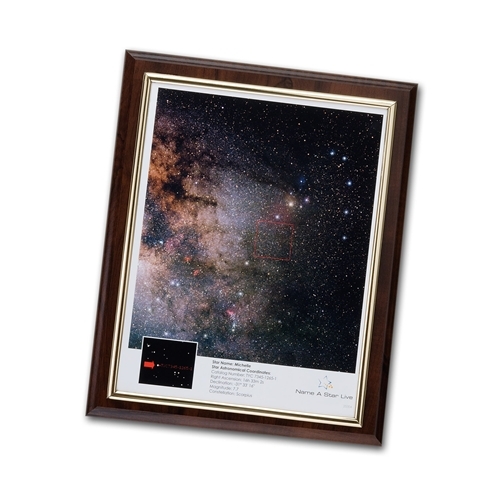 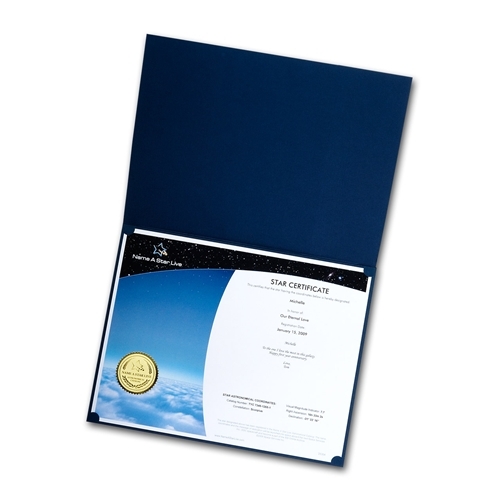 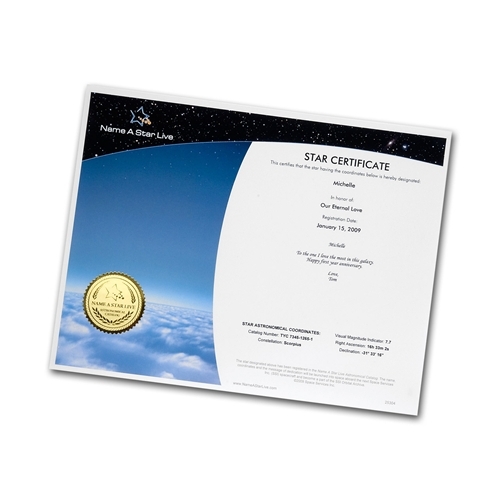 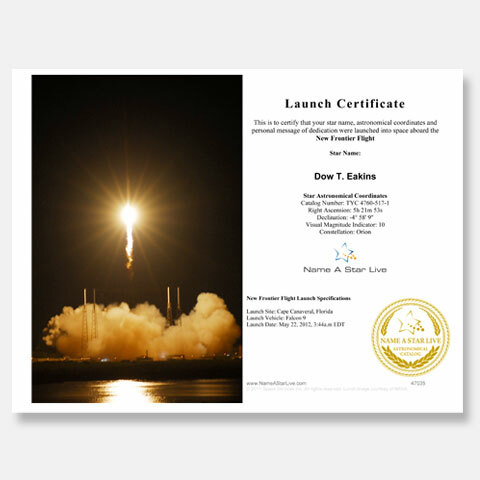 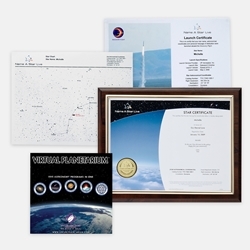 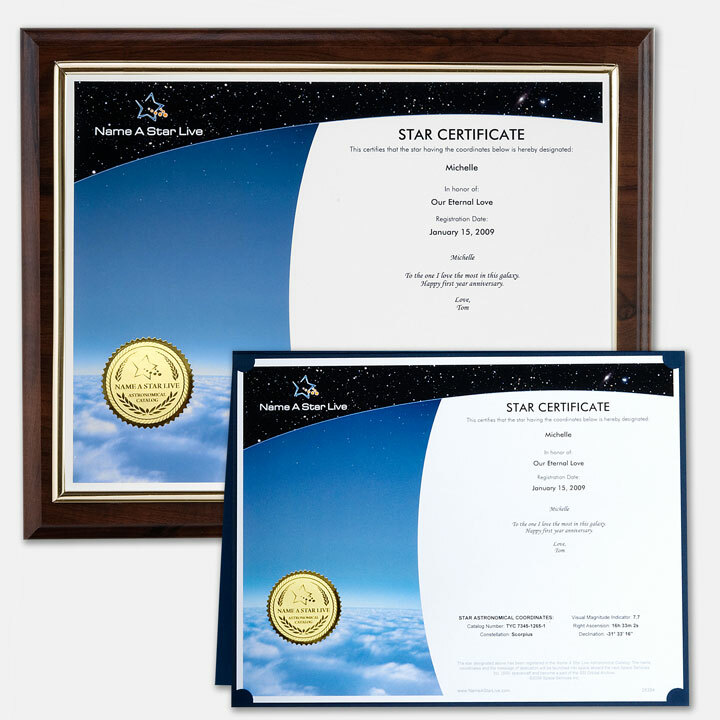 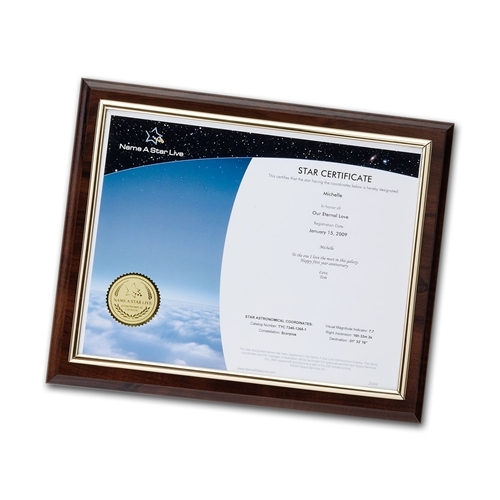 The Deluxe Framed Gift Set mounts your star certificate in an elegant wooden frame for display. 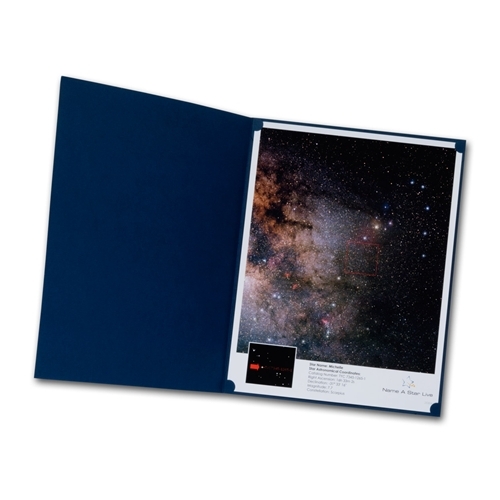 With everything from the Deluxe package, this is the ideal gift for the space enthusiast in your life.